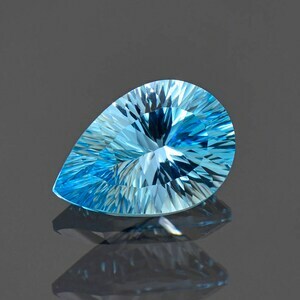 Size: 11.12 x 9.56 mm. 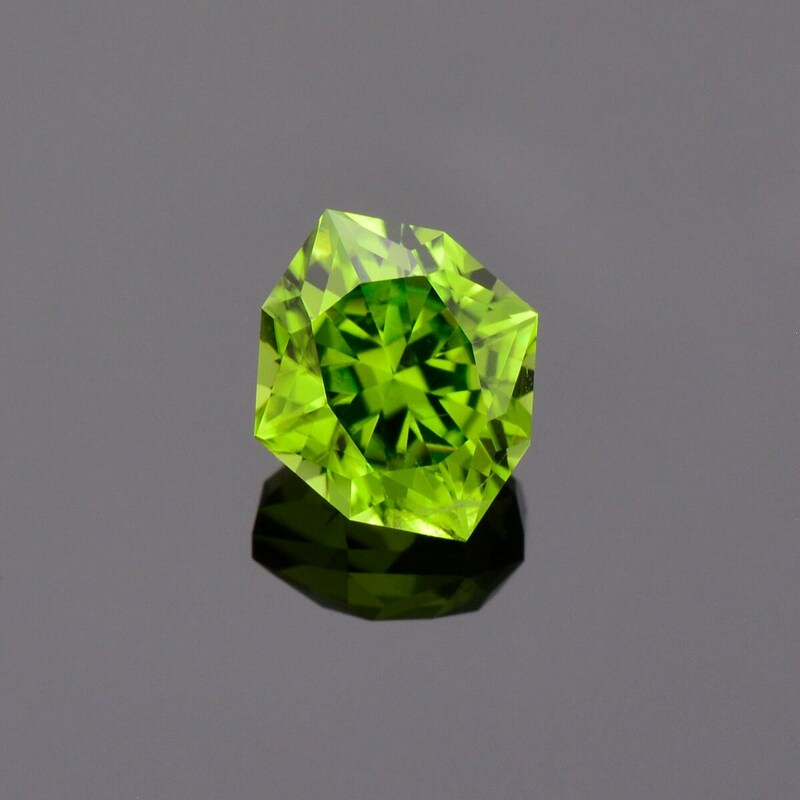 Here is a new production of some nice green Peridot. 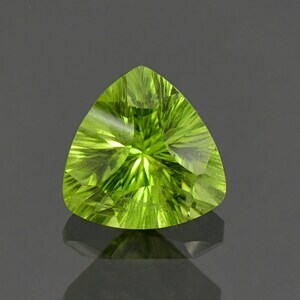 This material is out of Pakistan, which for many years now has been producing good quality Peridot rough. Over the last 10 years or so the Pakistani material has had a slight brown tinge to it that was not as desirable as this beautiful bright green. 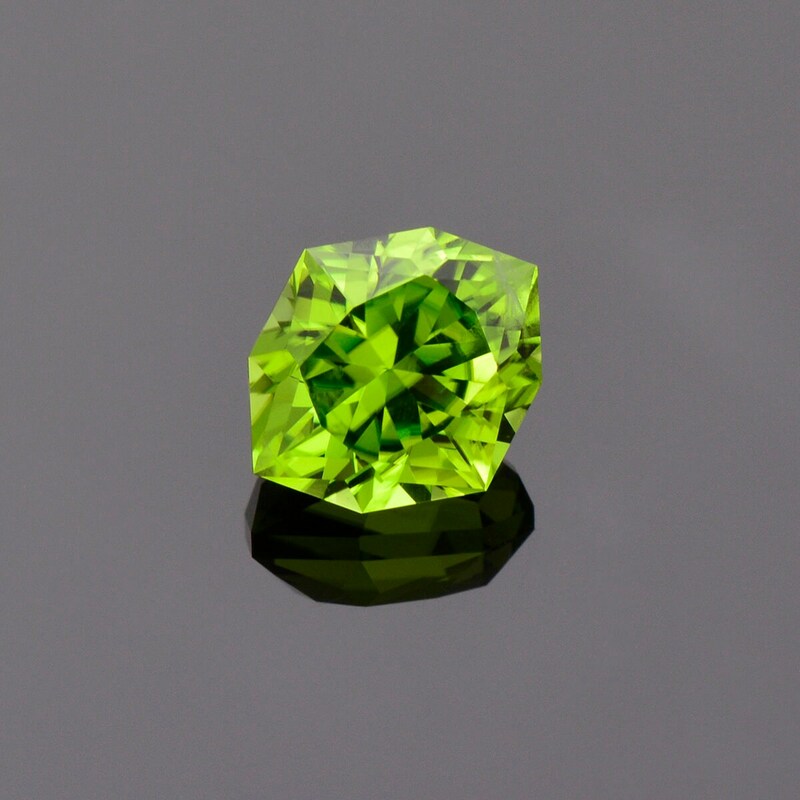 This gem has a stunning and intriguing cut. 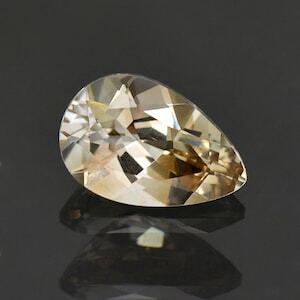 It is a Diamond Brilliant cut that is just dazzling in hand! 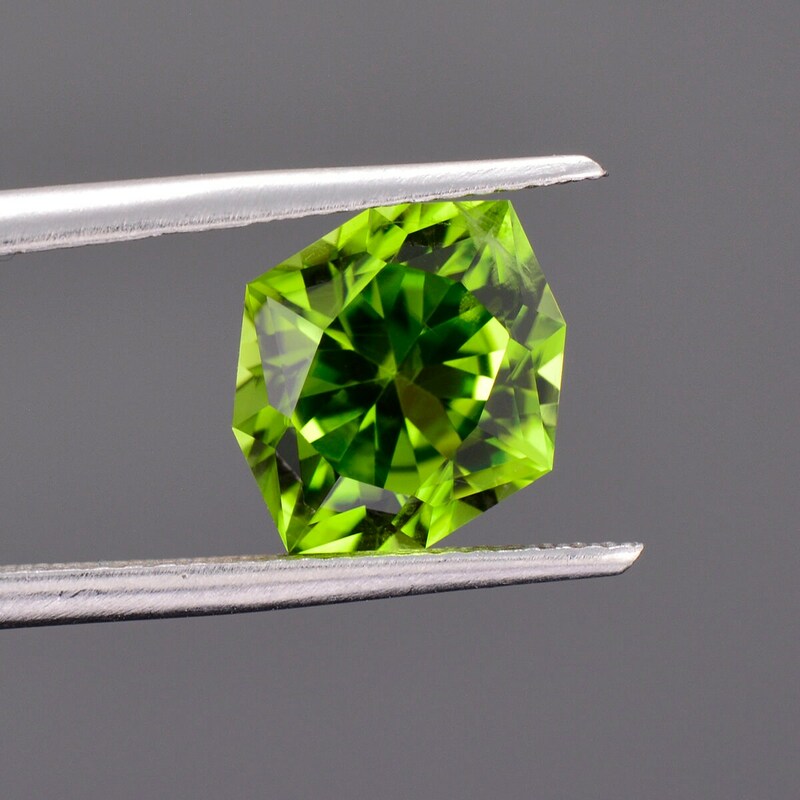 The stone is a nice size being nearly 4.5 carats. It glitters and flashes beautifully and has an antique feel to it because of the fabulous cut. 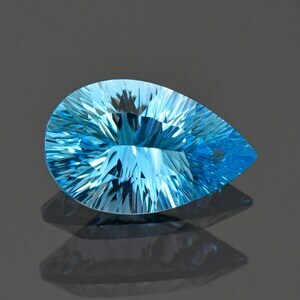 This stone will make a fantastic piece of jewelry, especially a ring! 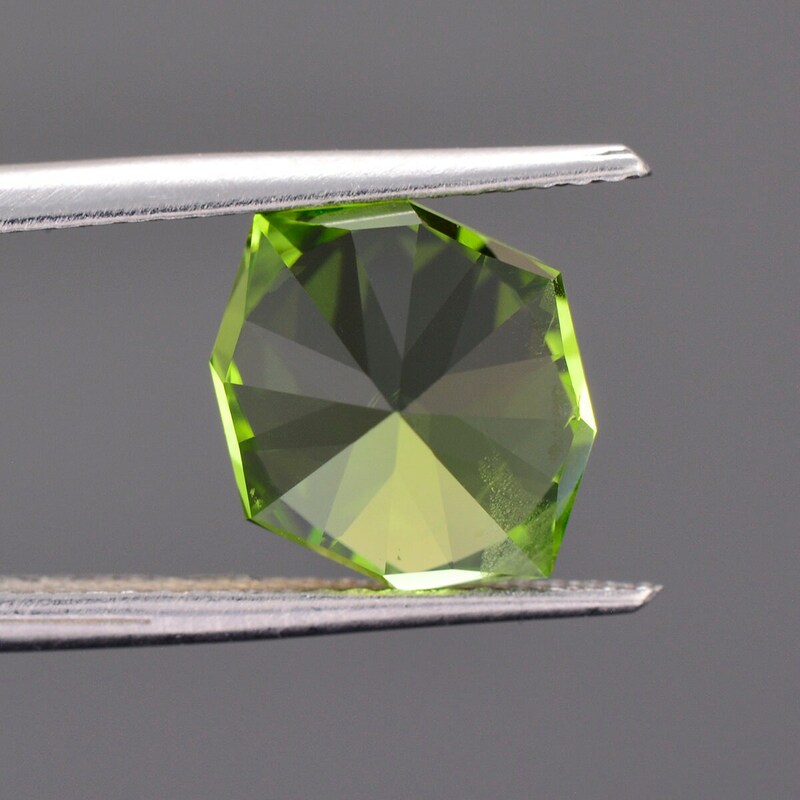 This stone was faceted by Brett Kosnar of Kosnar Gem Co, during November 2018. Enjoy!